Nevada may be renowned for its nightlife, gambling, and the Hoover Dam, but the Sagebrush State has picked up a reputation for substance abuse over the years, as well. Being home to Las Vegas, the state may very well have boosted rates of drug and alcohol abuse that are fueled by the round-the-clock partying Sin City promotes. As a consequence, the high rate of substance abuse and addiction means treatment is in demand. The high rate of substance abuse in Nevada points toward their drug culture and demographic climate more than anything else. Trafficking practices run amuck in a state so closely bordering Mexico. Likewise, the area is densely populated with a few ethnic demographics known to struggle with higher rates of drug abuse than their counterparts. Around 89,000 adults and 28,000 kids are living with serious mental health disorders in Nevada.18 Often, drugs and alcohol become a way for individuals afflicted with mental illness to self-medicate the uncomfortable symptoms they’re trying to cope with. Nevada officials have been strong leaders in trying to combat issues of substance abuse in the state. Prescription drug monitoring programs are in place to keep a watchful eye on how frequently physicians are prescribing potent narcotics, like OxyContin and Percocet, as well as pharmacies and their dispensing patterns. In a comparison of prescription opioid use rates by milligrams per resident, Nevada was highest at 1,150 mg, compared to the national average of 547 mg.20 Nevada residents led the nation as the biggest hydrocodone users in 2006.21 Bimonthly reports display this data, and it is reviewed on a regular basis for discrepancies within the prescribing system. Nevada also promotes a take-back program. Often, people are prescribed strong painkillers when recovering from surgery or an injury. They may not need the full bottle of pills their physician permits them to have. They then hold on to excess prescriptions pills and store them for potential future use. Unfortunately, this kind of behavior can lead to unsafe use of drugs and abuse in some respects. 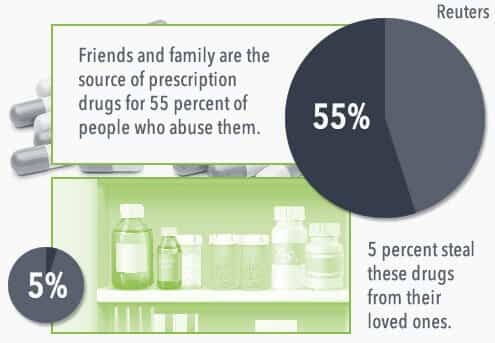 It isn’t necessarily that the individual holding the prescription will turn to them down the road, but they could fall into the hands of a family member or acquaintance who abuses these drugs. Friends and family are the source of prescription drugs for 55 percent of people who abuse them and 5 percent steal these drugs from their loved ones.22 Thus, Nevada’s take-back programs offer safe places to dispose of and recycle excess prescription drugs. There is no shortage of help in the Sagebrush State. Medical detox programs, holistic treatment options, intensive therapy, and more await those in need. While Nevada may be home to many who battle substance abuse, addiction, and mental illness, it can also be a safe haven for those who have overcome these struggles. Alcohol addiction rates are slightly higher in Nevada than they are in other parts of the country. 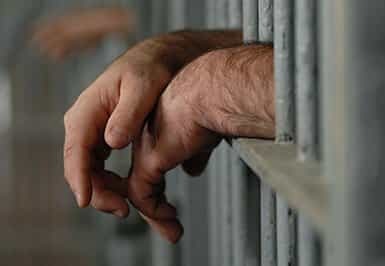 For example, according to the Substance Abuse and Mental Health Services Administration, 7.7 percent of people 12 and older were addicted to alcohol in Nevada in 2012. The national rate of alcohol addiction was 6.7 percent. Nevada is not immune to illicit drug addictions either. In that same report, researchers said about 2.6 percent of people in Nevada 12 and older were addicted to illicit drugs. There is a bright side to a high addiction rate. When communities are aware that addiction is a problem, they can take steps to ensure that the difficulties go away. And that means communities can invest in treatment programs that can help. Desert Hope: Addictions are often complicated by mental health issues. When that happens, people benefit from treatment programs that address both problems at the same time. Unfortunately, few treatment programs offer this approach. Desert Hope is different. This inpatient treatment facility offers a treatment program that addresses both issues at once. Clients are provided with a series of workbooks and educational sessions, in addition to therapy, that helps them to understand the past and embrace the need for change. All of that work happens under the supervision of a medical team that is available around the clock. There are medical detox services available too, for those who need help attaining sobriety before treatment. Programs last for 90 days, and those who complete that program and relapse can return for complimentary 30-day treatment programs. Most insurance payments are accepted. To find out more, call (888) 983-9168. Solutions Recovery: The founders of this organization believe that addiction is a treatable disease, but they also know that the programs that work well for some people simply do not work well for others. As a result, Solutions Recovery offers a variety of different programs for people with addictions. There are inpatient programs for people who need around-the-clock supervision, and there are outpatient programs for those who can rely on the help of friends and family as they heal. There are programs made for specific types of substances, including alcohol, prescription pills, and illicit drugs. And there is a special program for people who developed an addiction due to chronic pain. There are programs for active military members and first responders too. The Las Vegas center is home to the inpatient program, but there are satellite offices in Pahrump and Reno. The group also operates sober living programs in Nevada. To find out more about insurance coverage and payment information, call (702) 854-2404. Las Vegas Recovery Center: This treatment facility is designed to offer care throughout the entire addiction recovery process. Treatment begins with medically managed withdrawal and detox. Then, people participate in a residential treatment program. It begins with a comprehensive and personalized interview, so the team can develop the most effective program possible for the addiction. Then, the program provides counseling, medication management, complementary care, and more. Those who have completed that program can move on to outpatient programs. There is a special program available for people who developed an addiction in response to a need for pain control. There is an alumni program available too. Many insurance programs have contracts with this organization. To find out more, call (888) 219-1158. Bristlecone Family Resources: This treatment program is designed to help people with addictions who are living in the northern part of Nevada. Care along the complete spectrum of recovery is available. The team uses a comprehensive screening at the beginning of treatment, in order to identify what people might need in order to get well. Then, the team can utilize detox, residential care, or outpatient care to help. There are also transitional living programs and aftercare programs to make sure that the lessons of sobriety stay put. Counselors and other treatment staffers stay abreast of the changes in addiction care theory, and all of the treatments provided have been proven effective through studies. Fees are offered on a sliding scale, and people who enroll must provide proof of income and proof of Nevada residency. To find out more, call (775) 954-1400. Las Vegas Drug Treatment Centers: This organization provides help for people who need to recover from an addiction, but who have no idea where to go for help. The group provides a quick phone assessment of the addiction problem, and then provides admission to one of a network of treatment programs that can help. Those facilities can provide care for the full spectrum of addiction problems a person might face. Options for care include medical detox, inpatient care, outpatient care, and sober homes. The team can provide referrals for adults and adolescents. Payments from major insurance programs are accepted. Call (702) 944-8762 to find out more. Center for Addiction Medicine: This is a private medical facility devoted to the treatment of addictions, including addictions to alcohol. A medical doctor runs the program, and his staff offers medical detox, individual therapy, and medication management. Services are provided on an outpatient basis, but there are intensive outpatient programs for those who need a great deal of help throughout the day. The doctor who runs this program is only one of 324 physicians in the United States recognized by the American Society of Addiction Medicine as a fellow. His help could be invaluable to people in need. To find out more about the treatment model and to learn about payments and insurance, call (702) 873-7800. Seven Hills Hospital: This 94-bed mental health and addiction treatment center is designed to provide people with a comfortable and compassionate environment, so they can understand how to transform their lives and have a healthier and happier future. The facility is located in Henderson, and care is provided on an inpatient basis. People who need help move right into the facility, and they get the care they need around the clock, with no opportunities for relapse. Care is available for adolescents, adults, and seniors. Available treatments include individual therapy, family therapy, group therapy, and experiential therapy. Insurance payments are accepted. To find out more, call (702) 646-5000. WestCare: This organization is made up of a collection of nonprofit entities that offer a wide variety of behavioral health programs in both residential and outpatient environments. Substance abuse is a major focus of the treatments offered. There are programs available for adolescents and adults, and there are special services for LGBT community members and veterans. The group can connect people in need with outpatient treatment programs, residential programs, and housing programs. To find out more about qualifying for care and/or paying for care, call (702) 385-2090. Mission Treatment: This organization offers two substance abuse clinics in Nevada. One is in Las Vegas, and one is in Henderson. Most people who get care in these facilities have an addiction to narcotics, and they need medications in order to heal. Nurses are on hand to identify the proper medication dose, and there are counselors available that can help people to understand how to avoid returning to a life of addiction. Drug testing programs help to ensure that people stay clean. Enrollment is quick and easy, and it takes just an hour or two to complete. Once that assessment is done, all care is performed on an outpatient basis. Payment is required at the time of the visit, and some locations accept Medicaid. Phone numbers vary from location to location. It is best to visit the website to find out more. Harmony Healthcare: This organization provides behavioral health care to both children and adults. Some people become aware of this organization through work, as a number of companies in Nevada use this organization for their employee assistance programs, but people with addiction needs can also get help from Harmony Healthcare directly. All treatments are provided on an outpatient basis, and a typical addiction recovery program involves individual counseling, group counseling and support group meetings. The staff includes licensed psychologists, psychiatrists, and professional counselors. There are three clinics in Las Vegas to choose from. Payments from insurance programs are accepted. Call (800) 363-4874 to find out more. Instep Recovery Services: The founder of this company has a personal connection with addiction, as he has been in recovery for 15 years. As part of his mission to help others, he founded this company that offers quick and easy referrals to over 210 addiction treatment facilities in the United States. The organization can also provide intervention assistance for families dealing with a loved one who does not see the need for treatment. Those who enroll through this organization will receive 30 days of recovery coaching after residential care, so the lessons they learn in rehab have the chance to percolate and stick. Many of the providers accept insurance payments. To find out more, call (855) 201-2200. Center for Behavioral Health: Addictions to opiates, including painkillers and heroin, are the main target of this outpatient addiction treatment organization. People with these addictions can contact the organization and tap into a network of treatment programs in Nevada. Each program in the network is staffed by pharmacists, physicians, nurses, and counselors. They can provide medication management, counseling services, and support group meetings to combat the disease of addiction. The Nevada office accepts some insurance payments, including Nevada Medicaid. Fees for those who do not have insurance are affordable, and screenings for addiction are free. To find out more, call (702) 796-0660. A Better Today Recovery Services: This organization provides a gorgeous rehab experience, right in the middle of Nevada. Care begins with a medical detox process. A physician provides a customized withdrawal schedule that involves the use of medications, and detox is followed by structured inpatient rehab programs. Care is provided by therapists with master’s degrees in education and recovery. Therapists can use individual therapy or group therapy to help, and they may augment the healing with music therapy, art therapy, life skills training, or yoga. People who enroll are also provided with classes on nutrition, so they know how to eat right to maintain health. Insurance payments are accepted, and there are payment plans available for people who cannot afford to pay for care upfront. To find out more, call (888) 906-0952. Willow Springs Center: This organization operates a 116-bed treatment center for adolescents and children. These young people can develop addictions, and they can struggle to put life back together when those addictions are in place. In this residential treatment facility, children have the opportunity to step away from the stresses of family and community, so they can focus on living a happier and healthier life. Cognitive Behavioral Therapy, Dialectical Behavior Therapy, and Motivational Interviewing are a few tools therapists use to help clients. There is a special program made just for children living in military families. To find out more, call (800) 448-9454. Community Counseling Center of Southern Nevada: This organization was founded in 1990 by a man who saw that his community provided no options for affordable mental healthcare. Since then, this organization has been devoted to helping people with a variety of mental health issues, including addiction. Counseling teams offer therapies that can help people to understand how the addiction developed, and they may walk away from therapy with a whole new suite of tools they can use when the temptation to relapse pops up. People with issues caused by addiction habits, including criminality, HIV, and hepatitis C can all benefit from this private, nonprofit, community-based organization. To find out more, call (702) 369-8700. West Hills Hospital: This organization is located in Reno, and it is the only private acute care psychiatric hospital serving northern Nevada. Care is typically provided on an inpatient basis, although there are outpatient programs available as well. There are programs for adults, seniors, and adolescents. People who enroll are treated by a team of professionals, including psychiatrists. This highly qualified staff ensures that people get treatments that are evidence-based. Every treatment program is personalized, based on the very specific needs of the person who has enrolled in treatment. That program might include medical detox, medication management, individual counseling, or group counseling. Skill-building sessions are also available on a variety of topics. Payments from insurance programs are accepted. Call (800) 242-0478 to find out more. Ridge House: For many people in Nevada, addictions result in incarceration. This organization provides comprehensive re-entry programs for people who have been incarcerated. Addiction services are a big part of the services offered. Help provided includes life skills counseling, support group work, mentoring, behavioral health counseling, group counseling, and individual counseling. Enrollees can also tap into housing and employment assistance. There are programs available for both men and women. To find out more, call (775) 322-8941. Step 1: Addictions deliver chaos. Step 1 provides order. This group offers a sober living environment for men dealing with substance abuse. People who enroll must be sober, and they must agree to stay sober during their stay. The team can make that sobriety easier to accomplish through the services they offer, which includes counseling and support group meetings. People who enroll are also provided with a strict schedule that can work as a template for sober living. In time, they can understand how to build a satisfying life that contains no room for and no need for drugs. A typical stay lasts for 90-180 days. Fees are offered on a sliding scale, and there are separate fees for housing and counseling. To find out more about this home in Reno, call (775) 329-9830. STEP2: Just as men struggle with addictions, women do too. Often, when a woman is addicted, her children are impacted. This organization strives to help both women and children break the cycle of addiction. There are two forms of care available. A residential program provides women with around-the-clock care and counseling for an addiction issue, in an environment that is safe and completely sober. An outpatient program helps women to get help with addiction without leaving the safety and security of their communities. Women 18 and older are accepted into the program, and women who are pregnant or who have young children are given admission priority. To find out more about fees and insurance payments, call (775) 787-9411. Adelson Clinic: This private, nonprofit organization is designed to help people who have addictions to heroin, painkillers, and other opiates. It was founded in 2000, and since that time, it has helped hundreds of people to deal with addictions. It is also the only clinic located in Las Vegas that uses methadone to treat not only adults but teenagers too. In addition to medication management for addiction, the organization provides individual, family, and group counseling. The team can also provide assistance with goal setting, gaining employment, and social development. Pricing is on a sliding scale, based on income. To find out more, call (702) 735-7900. Addiction Recovery Care Center: The path people take to recovery can vary, depending on personal preferences, history, and future plans. Addiction Recovery Center takes all these needs into account. The organization provides treatment plans that are customized, based on client needs. No two are exactly alike. But most involve inpatient treatment. People who enroll move into a home-like environment where they access individual treatment, support group meetings, recreational activities, and social support. All of that care comes with 24/7 supervision performed by clinical staff members. To find out more about payments and insurance options, call (702) 978-6902. ABC Therapy: This organization provides outpatient care and counseling for a variety of mental health issues, including addictions to substances and behaviors like gambling. Licensed clinical social workers, licensed drug and alcohol abuse counselors, and domestic violence counselors make up the staff. Additional issues that come with addiction, including anger, mental health concerns, impulse control, felony arrests, and more can also be addressed through this organization. Counseling in both English and Spanish is available. There are many offices in Nevada that can help. Each office comes with its own contact information. It is best to use the website to find the right office that can help. Foundation for Recovery: This organization provides peer-based services for addiction recovery. People who engage with this program can learn how to manage addiction and tap into the resources available in the community, so they can build a safe and sober life. Support group meetings play a big role in that community recovery process, but the organization also offers sober mentors and community education programs that can enhance the healing. Those who want to help others can also sign up for mentorship programs, so they can become recovery coaches. This is one of only two Recovery Community Organizations in Nevada, and it relies on donations to pay for the care it delivers. People who enroll may choose to donate. To find out more, call (702) 257-8199. Reno Problem Gambling Center: Gambling is a very real problem for many people in Nevada. The opportunities to gamble are available almost everywhere, and it can be hard to find a way out. The Reno Problem Gambling Center offers interventions, assessments, individual counseling, family counseling, and group counseling for this addiction. All of the care is provided on an outpatient basis. And this nonprofit organization never turns people away for a lack of funding. Everyone who needs help with an addiction to gambling can get that help right here. To find out more about this organization in Reno, call (775) 284-5335. The Addiction Doctor: People looking for a private, small addiction care solution may find it through The Addiction Doctor. This private counselor provides a number of addiction services, including addiction interventions, outpatient addiction counseling sessions, addiction seminars, medical detox, 12-Step support groups, nutraceuticals, chiropractic care, and alumni programs. To find out more about payments and insurance information, call (702) 838-9559. These are the top 25 treatment facilities available to you in Nevada, but this is only a partial list. Community hospitals, medical clinics, private counselors, and health care offices can also provide the therapies you need to leave an addiction behind. Feel free to explore those options too, as you look for ways to leave your addiction behind. “State & County QuickFacts: Nevada.” (2014). United States Census Bureau. Accessed September 10, 2015. “Nevada Drug Control Update.” (n.d.). White House. Accessed September 10, 2015. “Results from the 2012 National Survey on Drug Use and Health: Summary of National Findings.” (2012). Substance Abuse and Mental Health Services Administration. Accessed September 10, 2015. Thompson, N.A. (2014 Feb 6). 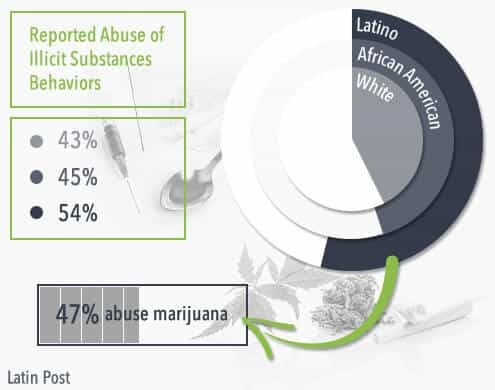 “Marijuana, Cocaine and Alcohol: Hispanic Youth More Likely to Abuse Drugs than Other Teens, Hispanic Adults Less Likely to Use Drugs than Other Adults.” Latin Post. Accessed September 10, 2015. “Reports.” (2013 Oct 7). Trust for America’s Health. Accessed September 10, 2015. “Painkiller deaths: 15 states with highest rates.” (n.d.). CBS News. Accessed September 10, 2015. “States in Brief: Nevada.” (n.d.). Substance Abuse and Mental Health Services Administration. Accessed September 10, 2015. “Treatment Episode Data Set (TEDS) 1996 – 2006.” (2006). Substance Abuse and Mental Health Services Administration. Accessed September 10, 2015. “Alcohol-related deaths: How does your state rank?” (2014 Jun 27). CBS. Accessed September 10, 2015. “Drunkest Cities.” (n.d.). The Daily Beast. Accessed September 10, 2015. “Substance Abuse and Co-occurring Disorders.” (n.d.). National Alliance on Mental Illness. Accessed September 10, 2015. “State Statistics: Nevada.” (2010). National Alliance on Mental Illness. Accessed September 10, 2015. McDonald, D.C., Carlson, K. & Izrael, D. (2012 Oct 13). “Geographic Variation in Opioid Prescribing in the U.S..” Journal of Pain. Accessed September 10, 2015. Allen, M. & Richards, A. (2008 Jul 6). “The painful truth about Nevada.” Las Vegas Sun. Accessed September 10, 2015. Morgan, D. (2012 Apr 25). “Prescription drug abuse abetted by family, friends: study.” Reuters. Accessed September 10, 2015. “Nevada Laws and Penalties.” (n.d.). NORML. Accessed September 10, 2015. “Nevada Cocaine Laws.” (n.d.). FindLaw. Accessed September 10, 2015. “Nevada Heroin Laws.” (n.d.). FindLaw. Accessed September 10, 2015. “Sober Living Directory.” (n.d.). Intervention America. Accessed September 10, 2015. “Nevada Adolescent Substance Abuse Facts.” (n.d.). Office of Adolescent Health. Accessed September 10, 2015. “Licensed Clinical Alcohol & Drug Abuse Counselor.” (2013 Jun 30). Nevada State Board of Examiners.Accessed September 10, 2015.